The country, notorious for its outages, still doesn't have a power surplus. But the coal-fired plants in the private sector that ran at 84 per cent capacity utilisation at the start of the decade, are now struggling to stay alive with load factors of 55 per cent. As much as 40,000 MW private generation capacity is struggling to remain commercially viable, another 20,000 MW capacity,which is currently under construction could also meet the same fate. If the electricity demand does not pick up, the commercially unviable and under construction capacity is poised to become stressed assets for the banking system. Coal is the major source for power generation in India. However, since low carbon growth strategy has to be followed as per the Paris Agreement entered by India, the other generation options have to be harnessed in the optimum manner. Renewable energy is, perhaps, the key to ensuring India's low-carbon transition. India has ambitious plans in this regard and aims to have 40 per cent of the total installed capacity to come from renewable energy by 2040. The entire value chain of the power sector is dominated by the central and the state sector utilities. For instance, in the generation space, out of the overall capacity of 343,789 GW, the central and state utilities contribute a total of 54.8 per cent, jointly. At an all India level, the power deficit has significantly decreased from 8.5 per cent in 2011-12 to 0.7 per cent in 2016-17. Both the power generation and the demand has gone up significantly during this six-year period. While the supply has increased by about 32 per cent, the demand has gone up by around 22 per cent during this period. The power deficit has reduced, since India has more than doubled its electricity generation capacity between 2005 and 2017, with coal-based plants accounting for more than 60 per cent of the new capacity. Over the past few years, DISCOMs have been wary of signing the long-term PPAs (because of the obligation to pay a fixed charge to the developer even if there is under-utilisation). Consequently, a lot of generating capacity did not have power purchase agreement (PPAs). Hence, to mitigate the situation, the Ministry of Power (the nodal agency being PFC consulting) floated a pilot scheme to procure 2.5 GW for three years with a back-to-back agreement to supply power to the DISCOMs. But the scheme, for which the bidding concluded recently, received a muted response; only 2.2 GW of supply was offered of which 1.9 GW agreed to match the L1 price of 4.24/unit. The developers cited onerous PPA terms favouring DISCOMs or procurers as the main reason for their disinterest in the scheme. The challenges they cited are: lumpsum tariff (unlike two-part, availability-based tariff in the earlier PPA) coupled with the procurer's obligation to schedule a minimum of 55 per cent of the contracted capacity and the developers' obligation to maintain 85 per cent plant availability. 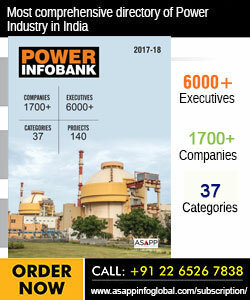 Fixed tariff for the entire contract period of three years, leaving the entire cost escalation risk on the developer and no assurance of coal supplies from Coal India (CIL) against the existing linkage- in the event of a supply shortfall due to the shortage, the supplier is not eligible for a compensation. From a DISCOM's perspective, any discovered PPA tariff that is lower than the alternative will be attractive. So, will the recently bid L1 tariff of Rs 4.24/unit in the 2.5 GW tender be acceptable to the DISCOMs? Consider this- In the current scenario, the all-India merit order list of the procurers for scheduling power suggests that at present, more than 90 per cent of the power has a variable tariff below the L1 tariff of Rs 4.24/unit. During the past 12 months, the average peak time rate on the IEX was Rs 4.3/kWh. Clearly, the DISCOMs should find these tariffs economical in meeting their peak time requirements, as the options entail higher prices. However, the DISCOMs' utilisation may well be below the minimum level of 55 per cent of the contracted capacity, in which case they have to compensate the developer. Notwithstanding the issues around the scheme's PPA terms being favourable to the DISCOMs, the developers do not have better alternatives in the current market scenario. Although the 55 per cent off-take commitment with fixed tariffs in the current coal shortage scenario may not be the most desirable, in terms of cash flows, for completely stranded plants, this arrangement will still allow them to earn something to service their fixed costs (plant O&M and part of the outstanding debt). According to SBI Caps analysis, even at 75 per cent blending of imported coal at the landed cost (6322 Kcal) of USD 130 per tonne, there is a positive contribution of Rs 1 per kwh (at L1 tariff) to service other fixed costs at 55 per cent utilisation, after meeting O&M costs, the plant can service a debt of Rs 20 million per MW. Thus, this scheme makes sense only for stranded assets with little access to the imported coal, as it assures threshold utilisation of 55 per cent over the medium-term (or compensation in the event of a shortfall). Moreover, access to domestic coal will eventually improve the plant economics. According to SBI Caps' research, there is a limited incentive for other developers to lock-in their capacity under such an arrangement, especially at a time when the underlying sector fundamentals are improving. So, it is no surprise that most of the developers chose to wait for better PPAs. Still, the scheme will serve a purpose. Besides improving the ability of some of the stressed assets to service 30-40 per cent of their outstanding debt, it marks the beginning of the development of the medium-term PPA market, although it clearly favours the DISCOMs. As more states come forward to sign such PPAs, analysts expect the aggregate demand to open up the medium-term PPA market. If the terms of the PPA are not changed to balance the interest of the developers and the DISCOMs, then the L1 rate could go higher but it will be capped by the peak time rates on the IEX. "If the terms of the PPA are not changed to balance the interest of the developers and the DISCOMs, then the L1 rate could go higher but it will be capped by the peak time rates on the IEX."